We had the opportunity to ask one of our favorite wedding vendors, Jane Rokes, about her business. Here is what she had to say! "Officiating is truly an honorable profession - at least for me! Being a proponent of the institution of marriage makes writing ceremonies a labor of love - literally and figuratively. For 35 years I have loved deeply and have been loved in return. 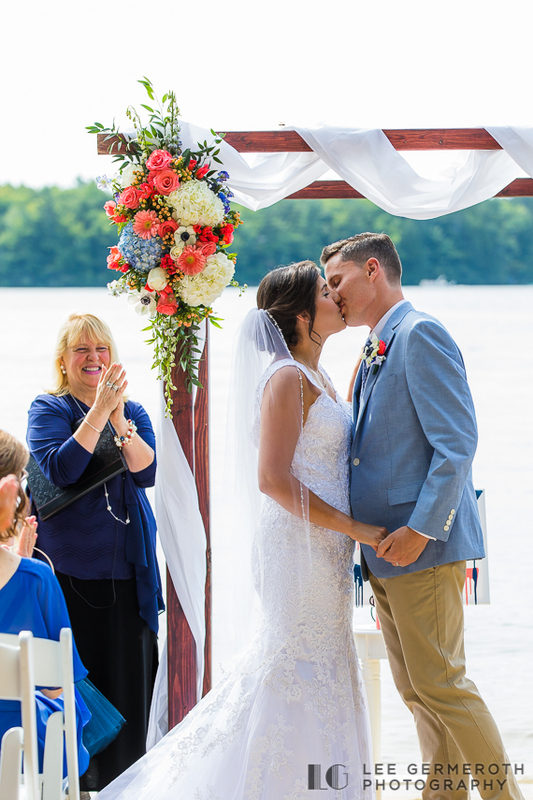 It is those years of marriage that have propelled me to the altar over 1,000 times over the last fifteen years to officiate for couples who prefer a personalized ceremony. Let's face it - anyone can pluck any sample ceremony off the internet. My love of writing an individual ceremony trumps any temptation to borrow someone else's words. Why? Because every couple has a backstory, current story and hopes and dreams for a full and happy marriage. When I blend these three elements together, I see the makings of an outline for a ceremony. Being a wordsmith, an accomplished writer, and pubic speaker, all help to reduce feelings to words so that a couple's story can be celebrated. I sit with a couple, takes pages of notes, reduce the notes to an outline, pour the outline into a document that creates a mainframe within which to expand on - capturing a couple's story. It is a process that I continue to hone because complacency could set in - if we don't stay sharp. I have officiated for many couples blending their cultures - even learning some light Swahili for a couple. I have officiated for couples who share the same last name even before they marry - which makes the paperwork a snap and causes a chuckle and couples find me if I have married them, they have divorced and decide they are happier together than apart so they want to remarry - those are sweet stories. I have stayed in touch with many of the couples whose weddings I have performed - some over ten years now and every story has left an indelible mark on my heart." My marriage mantra is "Go love!"